Zoom Lens 12x. 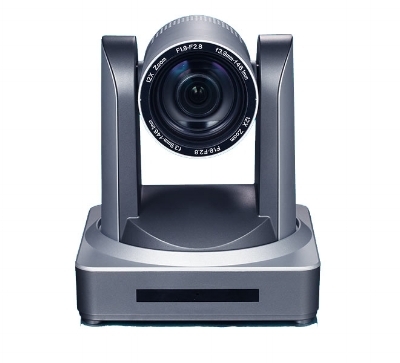 HDSDI output.A dedicated intelligent auto-tracking camera with cutting-edge technology in the field of Education informatization. UV100 series is built-in with high speed processor, advanced image processing and analysis algorithms to track lecturers and students accurately and quickly, which is in line with the requirements of lecturer capture and remote interactive teaching.UV100 series adopts advanced ISP technologies and algorithms, to make a vivid image quality, screen brightness uniformity, strong sense of depth, high-definition, and fantastic color rendition. As a stable, reliable and simple machine to operate, UV100 series has full function and high performance. Full HD, Wide View Angle, Zoom Lens 10x, Multiple Protocols and Multiple Video Interfaces. HDMI and USB 3.0 output. UV540 series camera offers perfect functions, superior performance and rich interfaces. The features include advanced ISP processing algorithms to provide vivid images with a strong sense of depth, high resolution, and fantastic color rendition. It supports H.265/H.264 encoding which makes motion video fluent and clear even under less than ideal bandwidth conditions. Full HD, Wide View Angle, Zoom Lens 12x, Multiple protocols. USB 3.0 output. The UV510A series camera offers perfect functions, superior performance and rich interfaces. The features include advanced ISP processing algorithms to provide vivid images with a strong sense of depth, high resolution and fantastic color rendition. It supports H.264/H.265 encoding which makes motion video fluent and clear even under less than ideal bandwidth conditions.